How to keep that ‘on holiday’ feeling! Here at WorldMark South Pacific we’re always trying to help and inspire our Owners to feel happier and healthier by taking holidays. Not only do we love to see our Owners making use of the holidays they own, we believe doing so is actually good for them and for their kids! But what about the times when you’re not on holiday? Here are some tips to help you retain that relaxed holiday feeling in between holidays! 2. Surround yourself with positive people. This should be a ‘no-brainer’, except it’s surprising how we either don’t notice, or are simply resigned to having people in our lives that aren’t good for us. For me, it’s about becoming (and remaining!) aware of the effect people have on me. Dani over at ‘Positively Present’ details some simple steps to help you identify the positive, and the not so positive people in your life. It’s well worth the read! 3. Bite sized chunks. I think one of the major stressors for many of us (myself included) is that feeling of too many things to do and not nearly enough time to do them in. Don’t let the sheer number of things paralyse you into doing nothing. Write yourself a to do list, then break each to do item down into smaller, bite sized chunks. That’s the easy part. Next you have to create a routine for yourself, which sees you completing one of these little chunks every day or at least every week. Once you start ticking a few things off that to do list, you’ll gain momentum and will be on top of that to do list before you know it! 4. 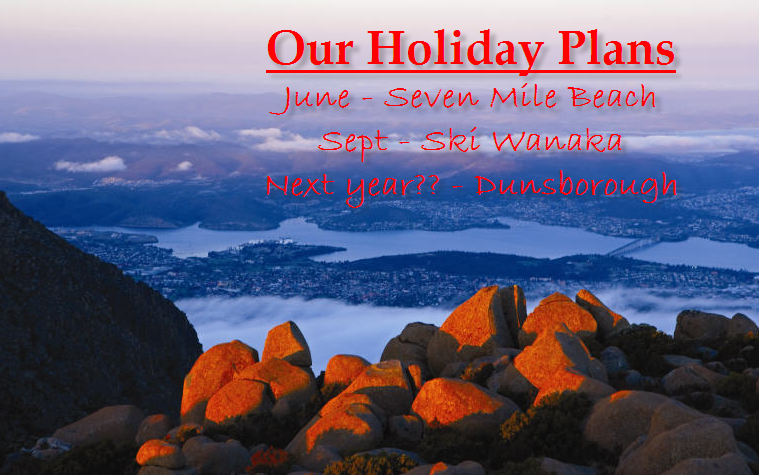 Plan your next holiday. It’s about always giving yourself something to look forward to, and what’s more worth looking forward to than a holiday? There are benefits to booking your holidays in advance as well. For WorldMarkSP Owners, apartments are assigned by the Best Fit Computer System, which ranks rooms in order of preference, assigning the highest priority room to reservations made the furthest out. This is a good reason to book early! Booking early also gives you time to research the area, planning day trips, and finding the best places to go for coffee or dinner. (HINT: For tips on WorldMark destinations visit Getawaysp). Things to look forward to!! Hopefully, if you are using some of these, it will only take a day, not a week for you to ‘decompress’ when you start your holidays. What about you – do you have any techniques to help you stay relaxed all year round?